Jadoo means magic in Persian and Indian languages—it is known as the oldest, most mysterious performing art in India. 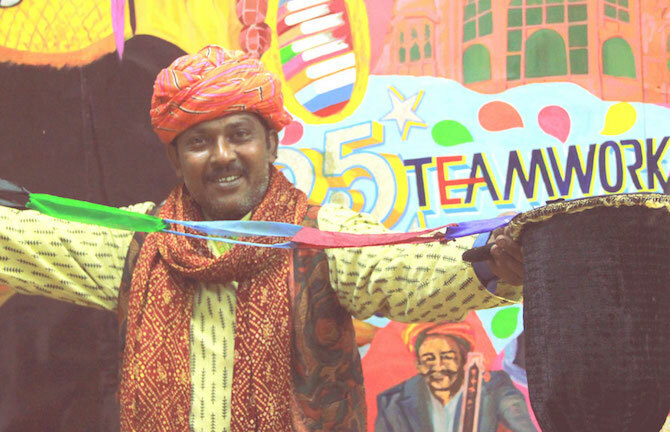 Raheman Shah is a street magician who brings alive the ancient tradition of majak (magic), one that historically involves a travelling group of artists and performers interacting with audiences, creating a bond of mythology and culture in their wake. For this MMeets, a part of Confluence: Festival of India, Raheman brings the majak to the gardens of MPavilion. Raheman, along with his two aides, will perform a repertoire of tricks involving his immensely popular interactive and participatory magic. This event is free, of course—no tricks, only magic. Join in!